I’ll admit it: other than working on some poetry submissions for publishers and revising some old poems here and there, this past winter break has been less than inspirational for me.The amount of brand new stanzas and images that I have created has been low. It is easy to fall into a pattern of binge-reading all those unread books on your bookshelf that have collected dust over the past year, or to binge-watching Netflix TV shows under the soft covers of the bed—admittedly, these are luxuries that are difficult to come by in the midst of a school semester. With that said, I tried to dedicate my final week of break, before the spring semester, to creating some new rhymes, stanzas, etc., but when it came time to write, I realized that there was a problem: my mind lacked inspiration that was caused by my self-imposed stagnation. All the words and images that I tried to spill on my notepad were rusty at best, and outright uncreative at worst. Although I had read some poetry and prose during my break, my mind could not seem to create anything that was new and up to standard what of my previous work, so that’s when I decided that perhaps I had to do something else to get my brain going before the new semester started. Located on 1852 W. 19th street, Chicago, IL 60608, visiting this Museum was probably the most productive thing I did over break. I decided to go to a museum. As a Columbia student, there some pretty great museums that you can get in for free with your school ID, including the Art Institute of Chicago and the Museum of Contemporary Art, which helped me out a lot in the middle of the fall semester. 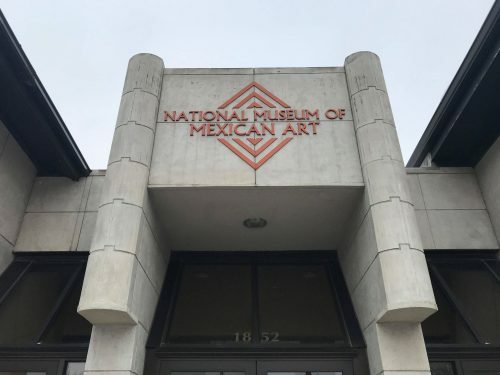 This time, however, I decided to visit the National Museum of Mexican Art, which is free to the general public, and only requires you to sign your name on a sheet before viewing any galleries. 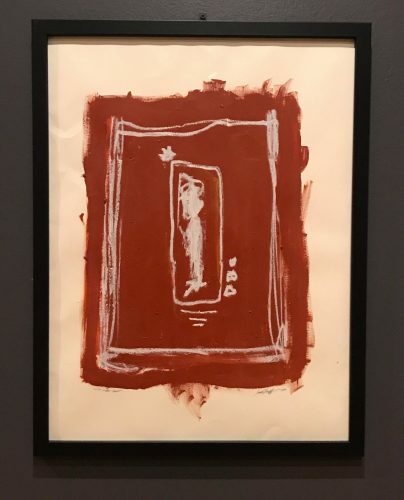 I chose this particular museum for two reasons: one, my poetry (and prose) is often centered around my Latinx culture and observations, and second, I have been dying to see the “Peeling of the Grey” gallery, which ran from May 11, 2018—February 3, 2019. 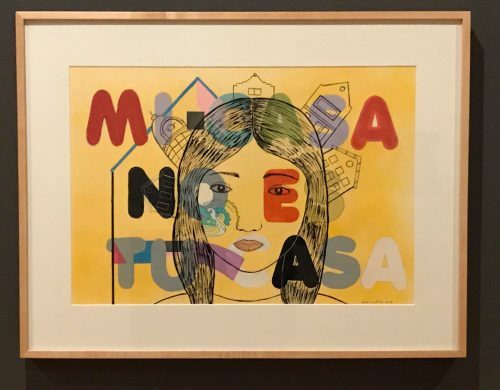 This gallery is a showcase of exhibits that illustrates the resistance and complexities of gentrification in the Pilsen neighborhood. Expectedly, my experience at the National Museum of Mexican Art was wonderful, and for reasons that go beyond the art—located in Pilsen, not too far from the Pink Line 18th Street stop, my travel to the museum was full of childhood nostalgia from the days in which I frequented this part of Chicago with my dad, but those are stories best saved for poems one day. Here are some exhibits from “Peeling of the Grey,” that stood out to me and found a way to influence my poetry as the new semester began. This particular image led me to write about migration for my Craft Seminar. My favorite, and perhaps one of the most powerful exhibits in the gallery, but difficult to explain in words. I took this painting to be a sign: that I need to write the poem that has been on the back of mind over the past few months, but still yet to find its way on paper. Last but not least, I think I found my new mantra to live by, though this was found in the “Nuestras Historias,” gallery of the museum. 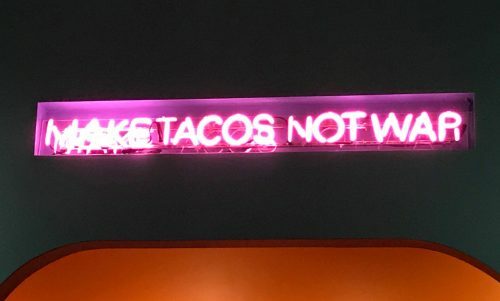 “Make Tacos Not War.” I will definitely by saying this lot more now.